Light bulbs have gone smart exponentially. Now, you can replace your ordinary bulbs with an array of connected solutions that are controlled at a few taps on your tablet or smartphone. When buying a smart light, it's necessary to consider their color, connectivity, and compatibility. Some bulbs connect through Wi-Fi while others require Bluetooth. But with so many alternatives flooding the smart home market, which one is perfect for you? Here are top three smart bulbs you should consider. 1. Philips Hue Light Bulbs | Philips Hue bulbs are easy to install and use. Also, they are consistent and versatile. You can buy white bulbs or color changing bulb that can be controlled through the Hue app. They have an output of 800 lumens which is sufficient for medium-size rooms. Large rooms need several Philip hue bulbs. You can also install Google Home to control the lights with your voice. 2. LIFX's Bulbs | LIFX's bulbs are easy to use, as they don't require a hub. Screw in your lamps and follow the app's instructions. It allows you to control individual bulbs and in groups to create scenes and program the lights to switch on and off at a particular time. There are different LIFX models including the A19 and BR30 bulbs. 3. C by GE Bluetooth Bulbs | C by Ge Bluetooth bulbs are affordable and easy to install compared to ordinary Wi-Fi bulbs. You can buy a C-Life or a C-Sleep lamp. C-Life bulbs are suitable for any part of your house. They produce a white color. On the other hand, C-Sleep bulbs are ideal for bedrooms. They have three distinct settings: a warm light to promote sleep, a cold glare to cheer you up in the morning and ordinary white light. Usually, the bulbs connect to your security system through Bluetooth. However, you need to be in a Bluetooth range of up to 10 meters to use them. Smart lights play a crucial role in improving your smart home comfort and security. It's prudent to install bulbs that are compatible with your security system. Consider the price and unique features of each smart light before choosing a particular brand. What do you think? Home security is a challenge for most Americans. Fortunately, Internet of Things has made it a breeze for homeowners to set up smart devices for home monitoring. Highly customizable security systems make it possible to monitor your home from virtually anywhere. But a good system works seamlessly with carefully selected and connected devices. Which ones? Security Cameras | A standard security camera is handy since it's cheap to install. Connect the security camera to your Wi-Fi to monitor your home from your tablet or phone. Most cameras have built-in sensors which detect sound and motion. They send email notifications whenever sensors get triggered. You can prevent your pet from causing false alarms by adjusting your camera's motion sensors. Some camera models have temperature and humidity sensors to communicate with connected devices including smart lights and thermostats. When shopping, buy a camera with an SD card gap to record videos. It's essential to save recordings to prevent frequent overwriting. Video Doorbells | Video doorbells enable you to monitor your door from anywhere. Just connect to your home Wi-Fi, and they'll alert you in case of intrusion. Video doorbells record videos when someone presses your doorbell or move near. Moreover, they offer two-way communication which helps you to talk to the speaker through your phone. 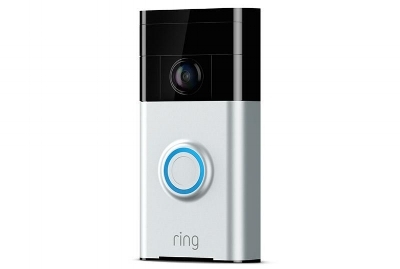 My favorite: Undoubtedly, my favorite video doorbell comes from the guys at Ring. Their products are hard to beat both in price and quality. Instantly see who is at your door in high resolution video from your smartphone. Smart Locks | Smart locks are vital components in home security systems. You can install a Z-Wave smart lock to your current security system with ease. If your house doesn't have an automation hub, it's advisable to purchase a Bluetooth smart lock with a mobile app to open and close. Also, intelligent locks allow you to create access schedules for friends and family members to monitor their movement. My favorite: The Smart Cube (Biased? Maybe.). It's the really the only option on the market for easily locking cabinets, drawers and doors for protecting things inside the home. Parents can keep their babies out of the medicine and cleaning supplies or teenagers out of the alcohol. Airbnb hosts can use it to keep guests out of valuables and professionals can use it to keep important documents locked up. Using Internet of Things, you can build a smart home with remote controlled door locks, lawnmowers, lights, vacuums, and thermostats. You can purchase a smart security system with professional installation. Alternatively, you can install security devices such as doorbells to control and monitor your home. Imagine a world where everything is connected to each other via the internet. A world where smartphones, thermostats, home lights, water system and windows continuously communicate and are controlled at a push of a button. Home automation dream has become a reality. Today, we are on the brink of smart home experience. By 2025, 71% of consumers expect to have smart devices in their homes according to Interpol. What are the most innovative connected home devices? Continue reading to find out. Amazon Echo | Amazon Echo is an incredible cloud-connected device that is not only voice activated, but also makes almost everything accessible. With Amazon Echo, one can do the following: make phone calls, control smart home, receive cooking recipes, get news, control TV, connect to Spotify and get fit among many others. Nest Thermostat | Smart thermostats control energy consumption in homes. It helps to manage and reduce bills significantly. At the same time, the device creates a comfortable environment for everyone in various rooms. Nest is programmed to recognize when heating or cooling is needed. Moreover, it learns rhythms in every home to ensure homeowners use energy when present and save when away. Once it learns your rhythm, it creates a conducive environment for your arrival! That control is also on your phone. You can turn the A/C on a few minutes before you arrive. It also analyses data on energy consumption to help you track energy consumptions and identify areas that need improvements. Smart Fridges | The best way to never run out of your steady diet is having a smart fridge. It tells you when you’re running out of it. In the beginning, you have to dedicate some time to set everything then live a headache free world afterward. There are countless smart home devices today. Many more devices are expected to be released in the market. What are your favorite smart home devices? Back in 2013, my team and I had worked hard on a prototype for the world's first Bluetooth smart lock for controlling medication consumption. We went to every startup event, took every meeting and told our story to anyone who wanted to hear it. We were on the hunt for funding to take our idea and turn it into a reality. The problem? Nobody cared. We knew we were onto something, but sadly our network didn't. After several dead ends, I was forced to reconsider our idea. It was a total "aha" moment when I realized that we could apply a smart solution to every home and office out there. So we pivoted from medication adherence to other common daily security issues. Want to read the rest of this article? Check it out on Inc. here. Imagine arriving home from work and your smartphone unlocks the door for you. Once inside, lights come on automatically, and your favorite music plays to welcome you. Your voice-activated virtual assistant works as a universal remote control. Everything in your home from lights, TV, speakers, security, temperature, and blinds depends on it. You don’t have to worry about leaving lights on, unlocked doors and running stove. When you wake up in the morning coffee is ready. Traffic and weather update report plays on your speakers advising you how to make it work on time. That is the power of innovative integrations. So, how can you connect your home? Apple’s HomeKit | HomeKit is Apple’s novelty product for home automation. It many connects smart accessories such as Philips Hue lights, locks, detectors, wink lights, blinds, thermostats and other smart devices. With HomeKit, smart accessories are secure and easy to use. It can work with many smart products such as iPhone, HomePod, iPad, Apple TV and Apple watch. Moreover, any manufacturer interested in implementing HomeKit in their accessories can also do so. Amazon Echo | Amazon and Echo developed the tipping point for a connected home. With a WiFi router, Amazon Echo makes it easy to reach the fun part. It integrates home automation hubs like Wink, Philips Hue lights, SmartThings and Insteon. Voice controlled smart home makes Echo versatile. One can do almost everything with it. You can play music, read books and articles, kitchen assistant and so much more. Samsung’s SmartThings | Samsung’s SmartThings aims to connect smart plugs for communication. The tech connects thermostats, security devices, sensors and detectors and unifies them in one control center. It works with home network based devices using Wi-Fi network or plugged into your router. Connecting your home is inevitable in this day and age. Smart homes have proven to be more effective, comfortable, safe and efficient than traditional ones. Homeowners need a cool way to connect all their devices. There is no place like a smart home. Who wouldn't want to live in a smart house where refrigerators update you on the grocery list, and the AC warms or cools in preparation for your arrival? The smart home idea isn’t new. It has been around for quite many years, but an interactive reality came about a decade ago. Technological advancement has created affordable intelligent products for homeowners to scoop up the best home networking solutions. Today, let’s take a look at the history of smart homes and what the future holds. Automated home was aired in the 1960s by The Jetsons. Echo IV became the first smart device. It could compute and create shopping lists, turn appliances on and off, and regulate home temperature. A year later, the kitchen computer made its entry with the ability to store recipes. However, it was not commercially sold. It was not until 1991 when gerontechnology combined gerontology and technology to make senior citizen’s lives easier. During this period, a lot of research in technology was witnessed. Smart home popularity grew significantly in the early 2000s as new technologies began to emerge. Intelligent home devices became affordable and started appearing on shelves. Current smart homes focus majorly on comfort, security, living green and sustainability. Apart from keeping us safe, they assist in the management of energy bills and making our stay as cozy as possible. Connectivity and interactivity determine how homes are managed and how families live. We are expected to be in many places and be able to monitor and manage our homes. Cutting-edge connectivity makes that automation convenient, comfortable and safe. Smart home of the future will be like what we watch in animated movies. Everything is turning digital with the entry of artificial intelligence and the support of giant players like Google and Amazon. The connected home industry is at its take-off stage. We’ve just begun enjoying the experience. Keep a close look at security, home data, artificial intelligence and efficiency customization. What future do you see in smart homes? Share your thoughts and expectations with us. Smart homes popularity continues to grow at breakneck speed. Many homeowners are adopting the connotation thanks to its numerous benefits. Those who found it expensive have no option either. Smart home technologies are becoming affordable with the strategy to upgrade little by little. Apart from giving homeowners the convenience to control devices and making their stay comfortable, this advancement offers more than what meets the eye. Security | Smart home keeps homes secure in many ways. Motion detectors sense movements any time regardless of where homeowners are. Once any movement is detected, a notification is sent to their smartphone or lights come on automatically scaring away potential burglars. Detectors are also placed on doors and windows to alert owners when someone tries opening or break in. Most smart home CCTV cameras make it possible to look through any camera using a wall terminal or a smart gadget. False alarms can be turned off at a press of a button. When on holiday, one can set the system to notify a friend or family member. Energy efficiency and cost-effectiveness | Smart home technology allows appliances to run with least amount of energy. Today, cooktop stoves only heat when metal pans are placed on top, no overheating and no burners run uncovered. Smart faucet technology maximizes water usage by creating fine individual droplets that create a fulfilling shower experience with minimal water usage. Saving money on utility bills has never been this easy. Timers and monitors ensure homes consume energy required. Moreover, these devices are only active when users are present. Home resale | New homeowners are more likely to be interested in smart homes since they’re used to using smartphones. They know smart homes save money and time. Also, most people who have lived in smart homes plan to buy such homes in future. Smart technologies are only in development stages. What we have witnessed so far is just the tip of the iceberg. Some smart home technologies require significant investment while others are simple and affordable. Their benefits remain vast and indisputable. What do you think?